Take the most exciting City, Plantation, Swamp and High Speed Airboat Tours while discovering the Wild Side of Louisiana! Back in 1989 my dad, Ray Walker, asked me to help him fix up an old pontoon boat that had enough seating for six people. He found a place for a swamp tour boat to dock in the small fishing village of Crown Point. He bought a van, made a single page brochure and began operation. He started the swamp business, south and west of the French Quarter of New Orleans. In the beginning, he sometimes had to pick up passengers and then be his own captain. That was our beginning. My name is Milton Walker Jr., and I got my captain’s license and started doing tours with my father back in 1993. Around 1995, he traded in two small boats for larger swamp tour boat that seated 60 passengers. A year later, he got a second swamp tour boat. In 1999, I took over the Swamp tour business with two vans & two tour boats. We offer 3 hour New Orleans City/Post-Katrina tours, Tours of the Oak Alley Plantation, Laura Plantation, Destrehan Plantation, and Swamp Tours. 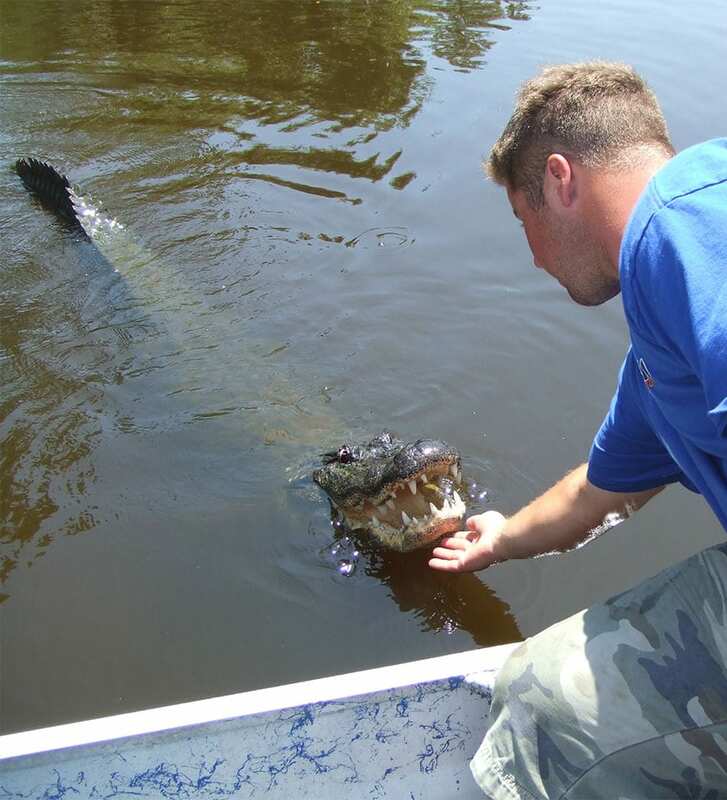 We have Swamp Tours by: Swamp Tour Boat, 16 passenger Airboat & 6-9 passenger Airboat. We also can provide bachelor/bachelorette parties and private tours. We also have Ghost walking tours of the French Quarter. We can help fill some of your available time while in New Orleans. We are a local, family owned business from the beginning. Now my two sons are working in the family business. Eric Walker manages the business end and Justin Walker is a captain & manages the swamp tour operations. Since we are not a big corporation, our business depends on a quality experience. You will be given first class treatment from the beginning to the end. We pride ourselves on being the best that we can be. Ninety Nine percent of the guests that come on our tour, tell us that our tours was the highlight of their visit to New Orleans and French Quarter. With all the attractions that there is to offer in the City of New Orleans, that tells us we did a excellent job!